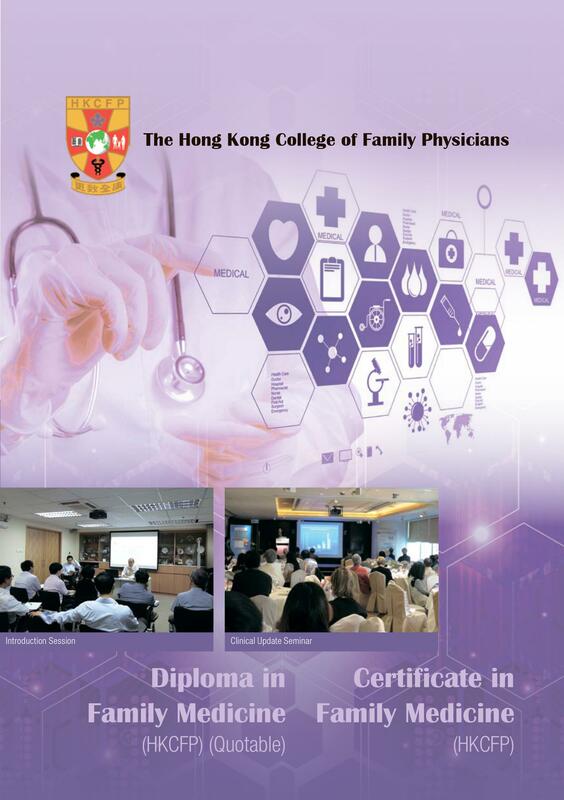 The Board is pleased to announce that the Diploma Course in Family Medicine (DFM) organized by The Hong Kong College of Family Physicians will commence in July 2019. The course consists of FIVE modules. Modules I & II will be delivered by Local Distance Learning. Modules III, IV & V consist of lectures, seminars, tutorials, workshops and clinical attachments. The whole course requires ONE year of part-time studies. i) To provide knowledgeable, pragmatic and structured teaching in Family Medicine for medical practitioners. ii) To encourage professional development of practising medical practitioners and to provide an intermediate step to fellowship qualifications in Family Medicine. iii) To improve standards and quality in the practice of Family Medicine. i) A Diploma in Family Medicine issued by HKCFP will be awarded to candidates who have satisfied all the requirements and have passed all the required assessment and the Final Examination. ii) The Diploma is a Quotable Qualification of The Medical Council of Hong Kong. iii) 50 CME and 10 CPD credit points will also be awarded to candidates at satisfactory completion of the Course by the QA & A Committee of HKCFP. The Application Deadline is 30 June 2019. For HKCFP membership application, please click here.